Join us Friday, April 11th for the opening reception of the Huntington Arts Council's "Portrait" 2014 art exhibit juried Liz Jorg Masi. Huntington, NY - March 19, 2014 - Join us Friday, April 11th for the opening reception of the Huntington Arts Council's "Portrait" 2014 art exhibit juried Liz Jorg Masi. The reception will be from 6-8pm at the The Main Street Petite Gallery located at 213 Main Street, Huntington. All are welcome to attend. "Portrait" features the work of 27 artists: Lawrence Aarons, Shelli Ardizzone, Christopher Arvans, Monika Camillucci, Judith Davidson, Dennis C. Dayson, Christine Dupuis, Jim Finlayson, Linda Giacalone, Donna Grossman, Warren Jacobson, David Jaycox, Jr., Raymond Mancuso, Jeanette R. Martone, Kevin McEvoy, Margaret Minardi, Donna Harlow Moraff, Dennis Reddington, Gia Schifano, Marie Sheehy-Walker, Barbara Silbert, Jennie Ijl Sjostrom, Angela Stratton, Candace A. Taubner, Peter T. Tresnan, Randy Weisbin and M. Ellen Winter. In regards to the "Portrait" exhibit and the finalists selected, juror Liz Jorg Masi commented, "The portrait and figure are what we relate to the most as human beings; it has also been regarded as the highest form of painting. Given the challenging task of selecting finalists, I looked for strength in the artist's technique, a strong knowledge of the face and figure and the artist's response to their subject. The technical aspect of brushwork, hard and soft edges, color, and values are all the result of the artist talent and vision." Ms. Masi will be on hand at the opening reception to present Best in Show and Honorable Mention awards. About the Juror: Liz Jorg Masi attended Parsons School of Design studying Fashion Illustration and had a successful career as a commercial artist, freelancing for Harpers Bazaar, Cosmopolitan, Glamour, and Henri Bendel to name a few. In 2003, Liz retired and turned to Fine Art to study at the Art Students League in NYC and at the Scottsdale Art School to study with top artists. Focusing on Oil, Liz also paints in Pastel and Watercolor, not only portrait but landscape and still life as well. Liz has won in excess of 75 awards locally and nationally and is a signature member of P.S.A.- P.W.C.S.- N.E.W.S. 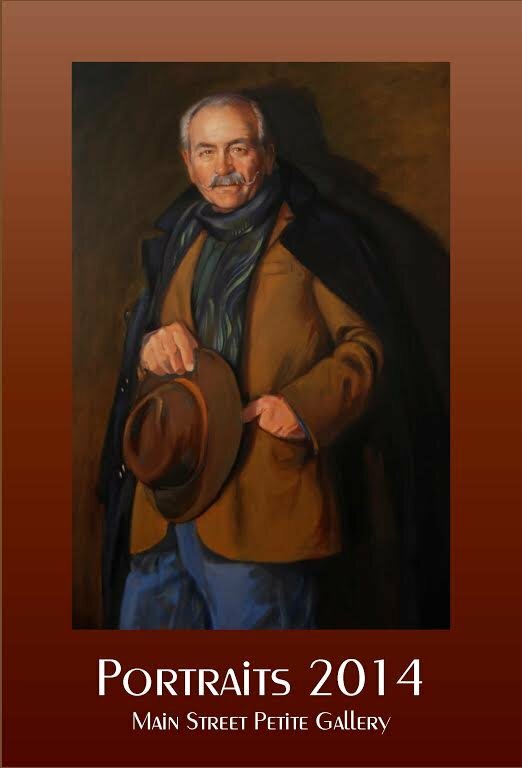 The "Portrait" exhibit will be on display from the gallery reception on Friday, April 11th through May 12, 2013. For additional information about the exhibit and other Huntington Arts Council events, please visit www.huntingtonarts.org or contact the HAC at 631-271-8423. Subject: LongIsland.com - Your Name sent you Article details of "Invitation to Huntington Arts Council's "Portrait" 2014 Featuring 27 Artists' Work"